CTS Hire is exhibiting at Letsrecyclelive on 22-23 May at the NAEC in Stoneleigh, Warwickshire, alongside parent company, Specialist Fleet Services Ltd (SFS). SFS runs a network of workshops and has been delivering contract hire, fleet and workshop management solutions to the public and private sector since 1992. 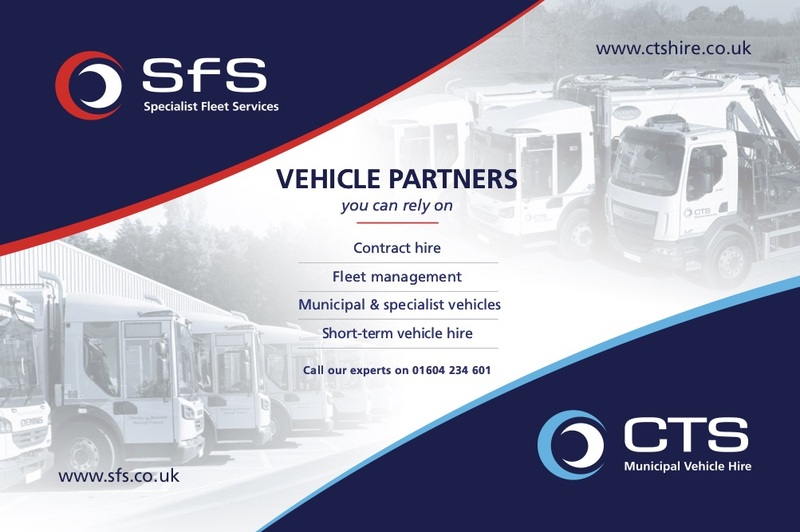 Together SFS and CTS Hire are equipped to provide every level of fleet solution from short-term vehicle hire to longer term, more complex fleet provision including vehicle maintenance and workshop management. The stand will feature one of CTS Hire’s latest vehicles, a brand-new Dennis Eagle 26T rear-steer Olympus Twin-pack, part of the company’s ongoing investment into new vehicle stock. All new CTS Hire vehicles are fitted with a live camera system to enable real-time monitoring. Testament to its successful track record in customer retention SFS was recently awarded a new 7-year contract with Hinckley & Bosworth Borough Council with whom they have been the incumbent supplier for over 13 years. Kettering Borough Council, which has now merged services with Corby Borough Council and has been an SFS customer for over 15 years, has also extended its current contract for a further 9 years.